With all the talk of bias and skewed political polls, today we are presented with a poll on pools being biased. As reported at The Hill, the results of the poll were that a plurality of Americans believe that the polls are biased to benefit President Barack Obama. Also, more than 7 in 10 Republicans believe the bias polls are intentionally skewed to help Obama and a remarkable 84-5 percent margin from the Tea Party. And who came to this conclusion that the polls were skewed? Those right-wingers at the Daily Kos and SEIU of course. A plurality of Americans and more than seven in 10 Republicans say pollsters are intentionally skewing results to benefit President Obama, according to a new poll released Tuesday. Some 42 percent of voters surveyed by Daily Kos and SEIU believe pollsters are manipulating their sample sizes to benefit the incumbent president, while 40 percent do not. An additional 18 percent said they were not sure. That’s evidence that Republican claims that Democrats and minority voters are being oversampled in national polls could be resonating — and potentially undermining the momentum of the president’s early lead. Hmm, I wonder what sampling the Daily Kos used to get the results that polls are intentionally skewed to benefit Obama, +9D? That would be a joke. However, the same cannot be said on the recently released CNN poll that shows Romney closing the gap on Obama only because CNN skewed the sampling less. That was not the case in the recent NY Times – Quinnipiac polls that had a +9D and greater sampling. Another Comical Faux Poll From CNN … Obama Up on Romney 50% to 47% … Romney Winning Independents By 8 Points, Huh? More “FAUX” polling from CNN … CNN says that race remains close, but Obama ahead, REALLY? The in the tank for Obama media trting to sway an election. The polls are starting to resemble a SNL skit.According to the most recent CNN poll, Obama garners 50% of the vote and GOP Presidential challenger Mitt Romney captures 47%. However, this lead has diminished from from a CNN poll taken after the conventions, Sept. 7-9, 2012, where Obama had a 52% – 46% lead. However, buried in the details of the polling data is the following …Romney has as 11 point lead with Independents, but trails in the poll by 3. How is that possible? Haven’t we been told that it would be the “Independent” vote that would decide the election? 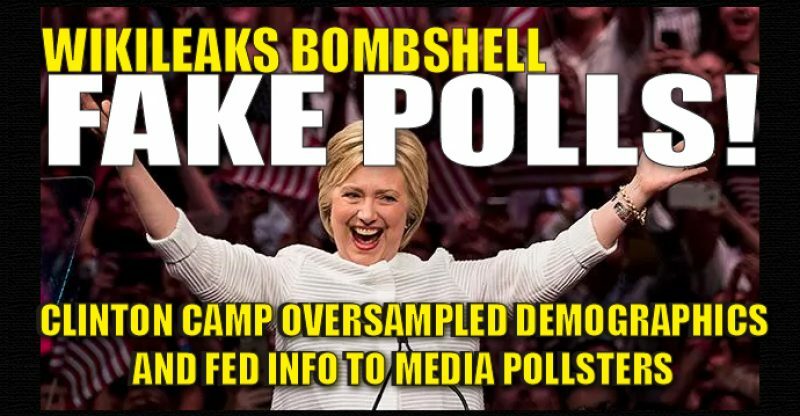 This is what happens when a bias media affects polling data and weights the polling sampling by +8 Democrat. As stated at Powerline, The Parade of Bad Polls, Continued. Is Romney surging in the CNN poll? Nope, they cut the sampling from +12 D to +8 to get an Obama 3 point lead. So what happens when CNN takes the poll sampling to a more reasonable+2D? Why that would mean a Romney 3 point lead of course. Today the Romney campaign is trumpeting the latest CNN/ORC poll which shows President Obama with a three-point lead over Mitt Romney among likely voters, 50%-47%. The Romney campaign likes this result, apparently, because it represents a significant improvement over the last CNN/ORC poll, which came out three weeks ago. In that survey, CNN/ORC found a six-point Obama lead. I wrote about the earlier poll here, pointing out that it obviously over-sampled Democrats. A reader calculated that, given other data in the survey, the six-point difference was consistent with a breakdown of D-38%, R-26% and I-36%. I wrote that the most significant point in the CNN poll results was that independents favored Romney over Obama by a remarkable 14 points. So today’s CNN/ORC poll has Obama’s lead cut in half, to three points. Does that mean that Romney is surging? Not really. It means they didn’t call quite as many Democrats. This time, the pollsters gave us the partisan breakdown of their sample: D-37%, R-29% and I-34%. So when the partisan gap in the sample narrowed from D +12 to D +8, Romney did three points better. Well, yeah. This morning on FOX News Sunday with Chris Wallace, GOP Vice Presidential candidate Paul Ryan was asked about media bias and whether the MSM was carrying the water for President Barack Obama? I almost expected Ryan to answer by giving a response like, YA THINK, I thought they were part of the Reelect Obama team? Instead, Ryan responded by saying, “As a conservative I’ve long believed there’s inherent media bias”. Chris Wallace had asked for examples of media bias. Ryan should have said there is not enough time on your show or in the day to provide such details. Dana Pretzer had a commentary this past week on the “Unprecedented Media Bias” . Conservative leaders claim unprecedented media bias this election cycle. Though these groups frequently complain about a left-leaning media bias, they claimed in the letter that the political slant this cycle is unprecedented. 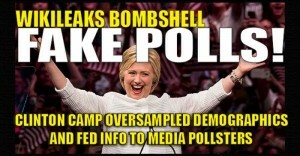 “In the quarter century since the Media Research Center was established to document liberal media bias, there has never been a more brazen and complete attempt by the liberal so-called ‘news’ media to decide the outcome of an election,” wrote Brent Bozell, president of the Media Research Center, and other conservative leaders. A note to Barack Obama, Democrats, the liberal MSM and those conducting polls with skewed data sampling … It ain’t 2008 and Democrat voter registration down dramatically in Ohio and nationally. Here is a new story that the corrupt liberal media complex in the tan for President Barack Obama will never tell you, Democrat voter registration down big in 2012 as compared to 2008. FOX News is reporting that a left leaning liberal think tank, Third Way, conducted a study that indicates a drop in Democrat registered voters in key battle ground states. For example. in Ohio there are 490,000 fewer registered voters than in 2008, 44% of whom reside in Cleveland and Cuyahoga County, where Democrats outnumber Republicans 2:1. So why again would polling samples be weighted to Democrats greater than in 2008 again? It also supports the notion that there has been the kind of party affiliation shift Rasmussen has documented (from Dems +7.6 in November 2008 to GOP +4.3 in August 2012), and the related notion that polls containing far more Democrats than Republicans do not representative sample the way things are now, i.e., that they’re seriously cooked. UPDATE I: the Lonely Conservative …Thanks for the link!